There is a special at Westminster Bookstore. Buy the physical copy and receive the digital for $1.99. 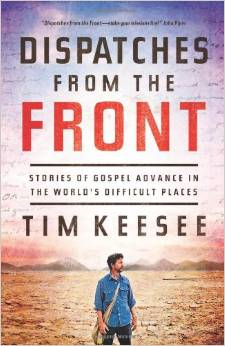 This entry was posted in Books, Missions and tagged Bethlehem College, blogging, book reviews, Christianity, Dispatches From the Front, faith, inspiration, John Piper, Religion and Spirituality, Tim Challies, Tim Keesee. Bookmark the permalink.